Uruguay’s National Ports Authority (ANP) and the Ministry of Transport & Public Works recently launched a master plan covering national ports development in 2018–2035. The highlight of the plan is the creation of a deep water hub port. 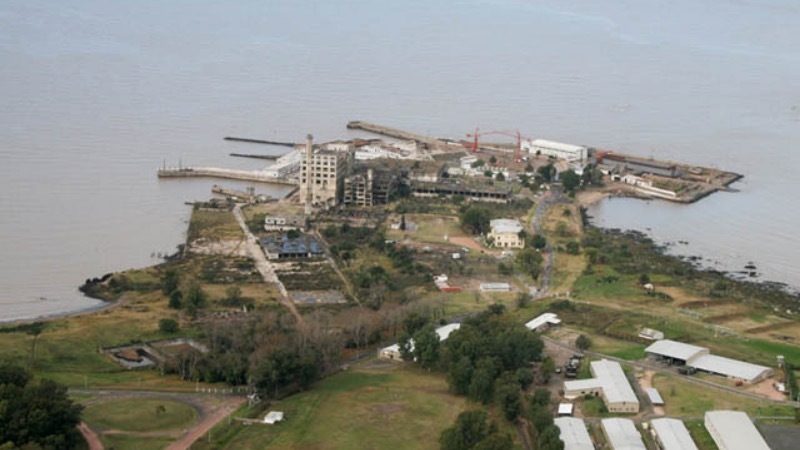 According to the minister,Vi´ctor Rossi, it is still possible for the Port of Montevideo to achieve a draught of 14 metres (two metres deeper than present), but the government nevertheless also favoured construction of a complementary facility. Alberto Di´az, who heads up the ANP, said that with private sector investment it would also be possible to build a dry port at Rivera and also help kick-start the proposed Puntas de Sayago terminal. The idea, he added, is to connect the Rivera inland facility with the Port of Montevideo by road and rail, along a central corridor. Rivera is located some 500km north of Montevideo and will cover an operating area of 25ha. As for the Punta de Sayago logistics port, the aim is to consolidate this by 2025, developing commercial quays on the River Plat along a distance of some 10km of the access channel to Montevideo port. This whole project will cover a total area of 187ha, which should attract various industrial entities.